New York State Boxing Hall of Fame inductee Bruce Silverglade, special boxing program director Alex Montaldo and boxing historian Frederick Roman are Ring 8 guest speakers at its next monthly meeting, tomorrow night (Tuesday, Sept. 19, 7 p.m. ET start), at O’Neill’s Restaurant (64-21 53rd Drive) in Maspeth, New York. 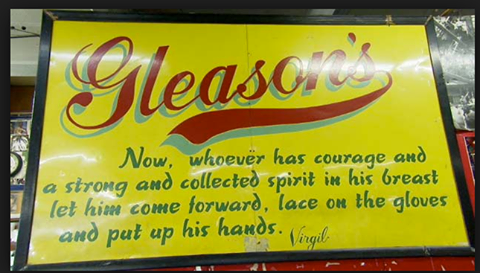 Silverglade has owned the world-famous Gleason’s Gym since 1983. The iconic boxing gym dates back 80 years, when Gleason’s Gym was originally founded in the Bronx, before moving to Manhattan from 1974 to 1984, then to Brooklyn in 1985, and finally into its present location in Brooklyn a year ago at 130 Water Street. Montaldo developed and operates a special program at Gleason’s Gym – stoPD (Support training to overcome Parkinson’s Disease) designed to help people with Parkinson’s Disease. Romano has had work experience in boxing for more than 35 years as a research consultant for HBO, as well as a producer and host of a cable television show about boxing, and he is a certified amateur boxing judge in New York. Frederick will speak about boxing books – he’s written several – and movies.